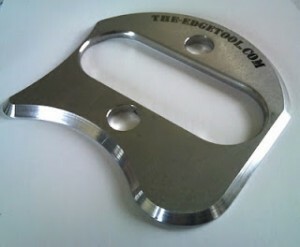 Dr. Cesca has chosen the Edge Tool as his equipment of choice for IASTM. IASTM treatments were developed by experienced medical professionals through years of detailed research. The use of these tools and their effectiveness has been scientifically validated over and over again. IASTM is another option to resolve pain and tightness in the body. This approach to fascia (connective tissue) work reduces friction which allows a preciseness, sensitivity and depth that cannot be accomplished with the hands, knuckles elbows etc. IASTM instruments make it easier to detect and treat fascial dysfunction. They magnify the abnormalities (scars, restrictions and adhesions) in the fascia and make it easier to locate the area to treat. Using a tool focuses the force through an area smaller then your finger with less friction. This allows a more efficient treatment. The goal is to trigger an inflammatory healing response. This will stimulate the production of new collagen and proper, more functional, less painful healing. Active Release Technique is a hands-on procedure to treat soft tissue dysfunction. Active Release Technique (ART) is a hands-on, movement-based technique that treats problems with muscles, tendons, ligaments, fascia and nerves.